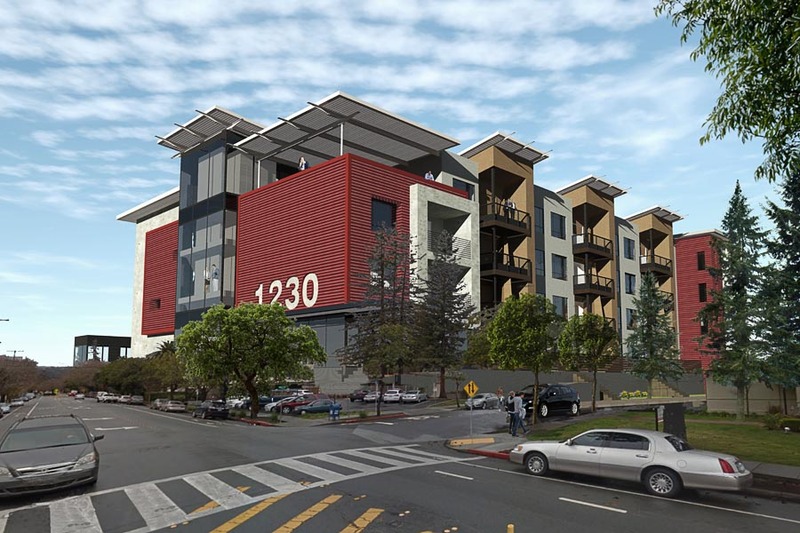 On an infill corner lot of 26,000 s.f., our proposed design replaces a rundown medical clinic with nineteen 2 and 3BR apartments over 5,700 s.f. of ground floor commercial space. The design conforms with all zoning and general plan requirements. 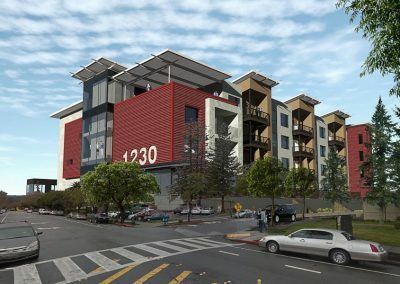 The building holds the “urban edge” of a busy arterial just off El Camino Real, while at-grade surface parking is screened from view by the commercial space. The site plan and architecture wrap around and preserve a large heritage Redwood tree at the middle of the site. Contact us today to start on your own project!